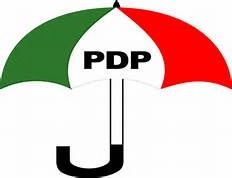 Following the report of another impending trip to the United Kingdom by President Muhammadu Buhari, the Peoples Democratic Party has demanded that the Presidency immediately make public all issues relating to the so-called private visit. The party, which queried the Presidency for always shrouding issues around the President in secrecy, pointedly demanded a full disclosure on the scope, purpose, direct destination, duration as well as the cost and . of the funding for this undisclosed tourism. "While the PDP has nothing against the President embarking on any trip, we insist that as the President of the Federal Republic, there must be full disclosures to Nigerians because the citizens deserve to know the purpose of the visit and the cost on the nation. "We know that the President is billed to attend the Commonwealth Heads of Government Meeting (CHOGM) scheduled to take place between April 16 and 20, but Nigerians are wondering why he is taking off to an undisclosed destination in London two clear weeks ahead. "We ask; Is President Buhari and his handlers hiding anything from Nigerians so much so that they cannot disclose the reason and duration of the so-called private visit? "Today, our economy is hemorrhaging and the citizens are languishing because of the continued lack of accountability and total incompetence of the Buhari-led administration.